The Tabata protocol was framed by Professor Izumi Tabata who specialized in exercise physiology. At present, Dr. Izumi Tabata is the head of Sports and Health Science Faculty at Ritsumeikan University in Japan. He is still doing research on the effects of exercise on calorie consumption and benefits of Tabata for patients of heart diseases and strokes. The research study conducted by Tabata and his colleagues included two different experiments. In experiment 1 (i.e. the Tabata protocol), a group of athletes cycled on mechanically braked cycle ergometer for 20 seconds at 170% VO2 max followed by 10 seconds rest and repeated 8 similar sets. In experiment 2, the same team of athletes cycled 30 seconds more on mechanically braked cycle ergometer at 200% VO2 max followed by a 2 minutes rest and repeated 4-5 similar sets. It was observed that the group of athletes in first experiment showed improvements in both aerobic and anaerobic capacity even though they worked out for less time at moderate-intensity, while the second group of athletes who were trained at high intensity for longer time did not exhibited any improvement. Therefore, Professor Tabata concluded that the intensity of workout doesn’t have any role to play in the improvement of fitness level. He also displayed that training for 20 seconds at 170% VO2 max followed by 10 seconds rest is the most effective way to increase both the aerobic and anaerobic capacity. The Tabata protocol is also known as “Tabata Training”. Nowadays, many athletes and fitness trainers have included Tabata training in their daily workout. In a Tabata workout, each exercise lasts for 4 minutes only. The Tabata training program includes a workout session of 20 seconds followed by a resting period of 10 seconds (equals to 1 set) and then complete 8 similar sets. Squats, push-ups, mountain climbers, burpees and ski moguls can be included in the Tabata training program. What are the exercises included in the Tabata workout? What are the benefits of Tabata for Weight loss? Start in a plank position such that the hands are under the chest with straight arms. Lift the right foot and bend the knee towards the chest as close as possible. Repeat with the left leg and continue switching the legs. Perform this exercise for 20 seconds at high-intensity and then rest for 10 seconds. Stand with the feet shoulder-width apart and perform a normal squat while breathing evenly. Jump in the air as high as possible. On landing, lower the body into the squat position again. This equals to 1 reps. Perform squat jumps for 20 seconds at high-intensity and then rest for 10 seconds. Stand with the feet shoulder-width apart and arms down by the side. Lower into a squat position with the hands flat on the floor. Step both the legs backward and lower the chest to the floor. Push the chest back to the press up position and thrust both feet forward such that the body is in the squat position again. Jump up and raise both the hands in the air over the head. Stand with both the feet together. Squat down and swing the arms back. Jump to one side, swing the arms together and keep both the feet together while landing into a squat position. Swing the arms backward for the next repetition and now jump to the other side. Perform this exercise for 20 seconds at high-intensity and then rest for 10 seconds. The Tabata workout improves the aerobic and anaerobic capacity, VO2 max (It is used to measure the aerobic power by calculating the amount of oxygen utilized by the body of a person at a maximal level effort) and resting metabolic rate which implies that an athlete keeps on burning calories even after the workout is over. The Tabata training program includes exercises that focus on multi-joint movements instead of the movement of a single joint. Therefore, this training protocol targets most of the muscles of the body in association with many hormonal and metabolic responses resulting in enhanced muscle activity and upgradation in the burning of fat and calories. Tabata workout helps in burning more amount of fat as compared to a normal 1 hour aerobic training session and can even make a person look much leaner. Therefore, the Tabata workout session can burn a large number of calories in a very short time span. According to a study presented at the World Conference on Exercise in 2013, it was demonstrated that 4 minutes of squat jumps done in accordance with the Tabata protocol burns the same number of calories as compared to 30 minutes of regular cardio exercise. Tabata training program also increases the stamina and endurance in minimal time. Tabata training protocol is extremely difficult for beginners and hence it is recommended to advanced athletes who are comfortable with moderate-intensity exercises. The athlete should always consult a doctor before starting the Tabata workout. There is always a greater risk of injury while doing the exercise that is included in the Tabata training protocol. This risk can be minimized by ensuring the safety standards of the workout’s location (e.g., checking the surface), maintaining proper form and determining proper intensity. Performing these exercise even for 4 minutes can result in muscle fatigue and hence the person should always remain mentally strong and motivated to continue the Tabata workout program. The athlete should make sure to do a complete warm-up and stretching before starting the exercise routine. Tabata training is a fast and efficient way to improve overall fitness, endurance, strength and heart health profile. Ensure all the safety precautions before starting the Tabata training to minimize the risk of injury. One should always consult a medical professional before starting the Tabata workout. A proper nutritional diet including proteins, vegetables, whole grains, and good fats is essential for weight loss. 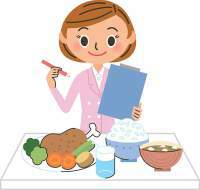 A well-balanced diet also helps us to stay active and to maintain body fitness. The training session can be exhausting even for the advanced athletes. Therefore, the person should always remain motivated and should never give up in reaching the fitness goals. Lipozene And Weight Loss: Does it Really Work?